On behalf of the Borough Council, we would like to welcome you to the Wyoming Borough website. As you navigate throughout the site, you will find valuable information on Borough services. We will update the site with announcements and other items you may find to be helpful. We appreciate your input and comments about our site. By working together, all of us can help to continue to make Wyoming Borough a great place to live, work and call our home. Please feel free to contact us at any time with your questions, comments or concerns. Wyoming Borough utilizes Building Inspection/Code Enforcement services from the City of Pittston. For additional information, please call Harry Smith 570-654-0513, extension 221. 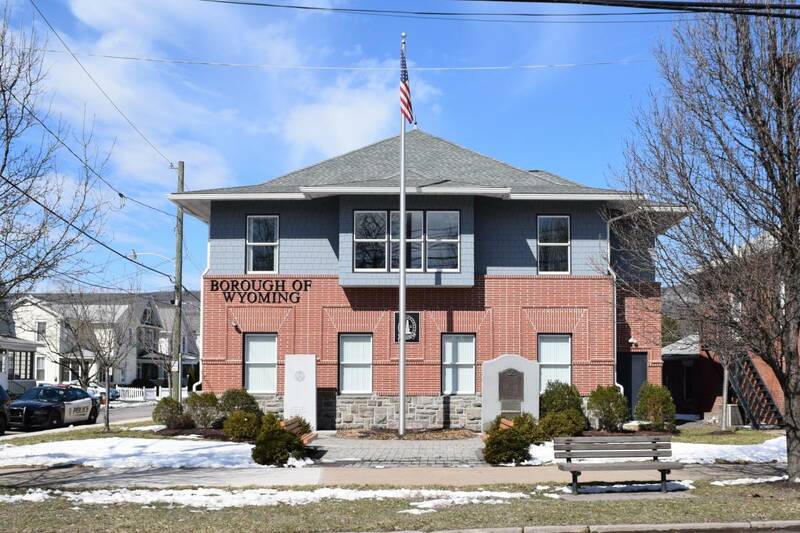 Sanitation fee payments are accepted at the Borough office. The payments can be made during business hours, by mail, or can be dropped in the Borough lock box. The Borough does not accept cash. Checks or money orders only. All payments made after 5/15 are subject to a $50 late fee. Non-payment of sanitation fee will result in a citation being filed at the District Magistrate’s office. All residence are required to pay the sanitation fee. Vacant homes are NOT exempt per Borough ordinance. Payment of the fee provides weekly garbage removal, bi-weekly recyclable pickup, seasonal curbside yard waste pickup, and monthly removal of a bulk item. All residential properties are required to make payment of the garbage fee.